The first debate of Democratic candidates for the 2016 election was held last night in Las Vegas, Nevada. Viewers saw a substantive debate on many policy issues, including gun control, financial regulation, and the Middle East, but no real discussion of the state of health care reform. The ACA, the most significant domestic policy initiative in recent decades, went largely unnoticed, despite the involvement of all five candidates on the stage in health care reform in some way. Former Secretary of State Hillary Clinton fiercely debated health care policy in her 2008 run and crafted President Bill Clinton’s health care plan in his first term. Vermont Senator Bernie Sanders advocates a single-payer health care plan, and he and former Virginia Senator Jim Webb both voted for the ACA in 2010. Former Governors Martin O’Malley of Maryland and Lincoln Chafee of Rhode Island both implemented state-based exchanges in their states, with varying degrees of success. In fact, Maryland ended up contracting with Connecticut to use the IT infrastructure of Access Health CT. The only real mention of healthcare came with a question on whether undocumented immigrants should be able to purchase health insurance on the exchanges. Former Governor O’Malley supports allowing full access to the exchanges, including the subsidies to help reduce premium costs. Clinton supports allowing undocumented immigrants to buy into the exchanges, but does not support offering premium subsidies, though would be open to allowing states to do so, as California will be for children next year. There were no other questions on how to build on or change the ACA, or initiate other health policies, to achieve universal access to quality care. Clinton is the only candidate in this field with a dedicated health care section of her campaign website. She would largely build on the ACA, working to lower out of pocket costs and prescription drug prices, but does not yet specify how. Sanders focuses on prescription drug costs, by requiring Medicare to negotiate for lower prices, importing drugs from Canada, and requiring price and cost transparency. 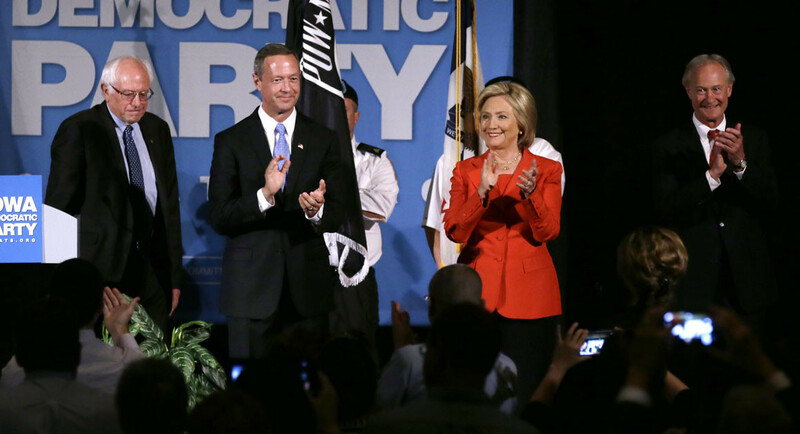 O’Malley has “15 Goals to Rebuild the American Dream,” including number 11, to reduce deaths from drug overdoses by 25 percent by 2020, and number 12, to reduce infant mortality rates by 10 percent by 2020. Those are literally the entire plans posted on his website, with no details of how he would achieve these goals. Lincoln Chafee mentions that he is in favor of expanding health care coverage in a general section on economic opportunity. During the last Democratic primary fight in 2008, health care was a top issue among the candidates. Eight years later, it’s treated as old news. No mention of consolidation among insurers and carriers, the Cadillac Tax, or problems of people managing to pay for care. It would have been interesting to hear their thoughts on how the ACA is doing after five years, and what they would do to improve on it. The public would be well served if the press and the candidates talked more about this important issue. We’ll have to hope for it at the next debate on November 14.